I’m home from an overnight trip to Dallas with a friend who was kind enough to let me go along–a mini-vacation that leaves me physically tired…but mentally refreshed…but physically tired. And incapable of coherent thought. So I’ll toss out just a brief observation. Yesterday a Facebook friend posted that former U. S. Representative Newt Gingrich said his passion for his country contributed to his marital infidelity. My first reaction was, This must be fiction. The friend is, after all, a writer. But I googled Mr. Gingrich and discovered via the Chicago Tribune that my friend was engaging in plain old fact. The exact meaning of that statement had always eluded me, but I believe I now understand it. Perfectly. Not quite so elegant as Dr. Johnson’s, but in this instance, it’ll do quite nicely. Mr. Gingrich is now married to the person who enabled his infidelity. And I want to know: What’s her excuse? 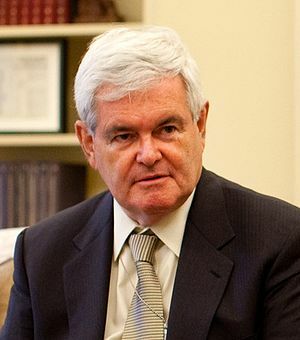 Image of Newt Gingrich by Pete Souza [Public domain], via Wikimedia Commons. 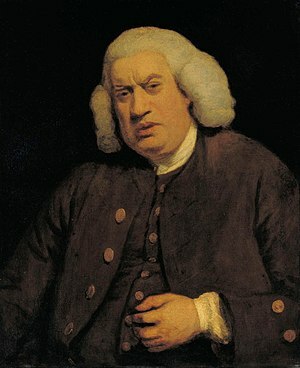 Image [portrait] of Samuel Johnson by Sir Joshua Reynolds [Public domain or Public domain], via Wikimedia Commons. True. But I’m still not buying his explanation. Well, quite. Love the Samuel Johnson quote. When you need a good line, Dr. Johnson can be very helpful. Funny musings, Kathy. Sad, but funny in a pathetic way. 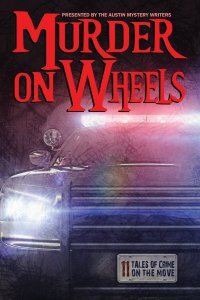 I find the situation sort of teeth-grindingly, blood-pressure-raisingly funny.